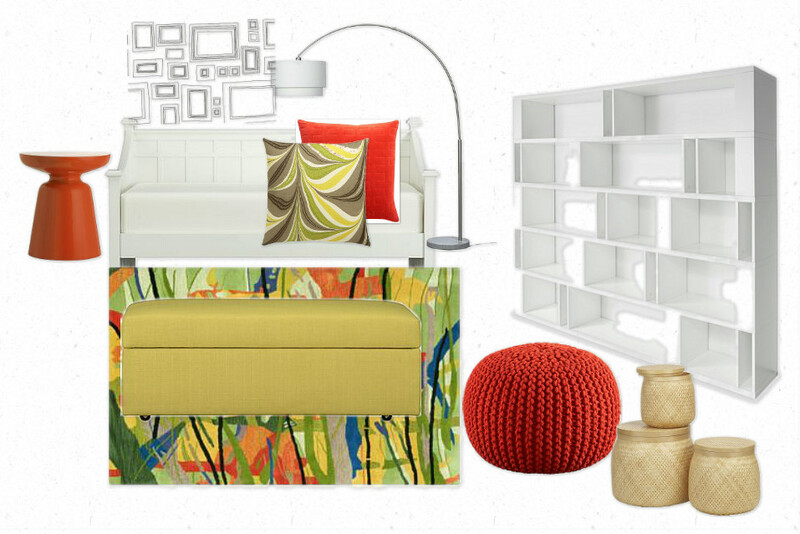 I have included a daybed that turns into a double and the ottoman opens up for storage - great for all those toys! Love this! The colors are gorgeous and LOVE that wallpaper!